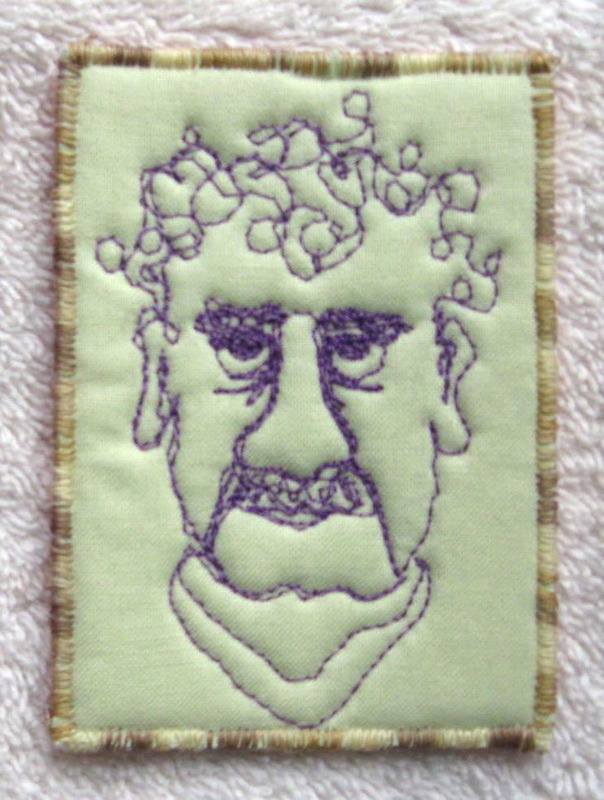 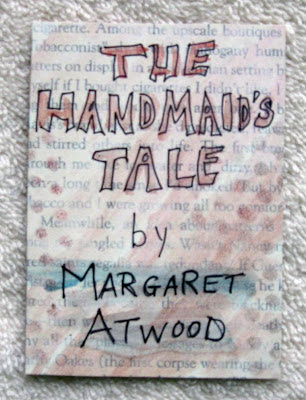 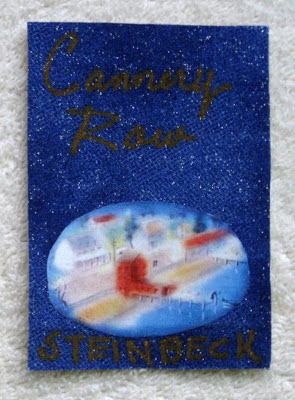 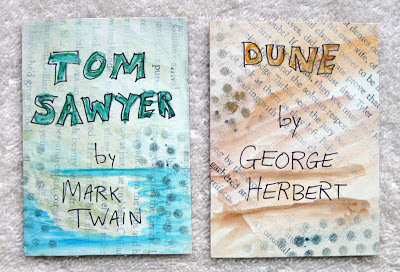 From Atwood to Vonnegut... including Baum, Dickens, and Rowling... Steinbeck and Silverstein... this month's ATC (Artist Trading Card) swap spanned generations of literary greats from cover to cover (so to speak). Famous Authors was the theme of the October FiberAntics ATC swap and participating ATC artists illustrated some of their favorites through their ATC art. 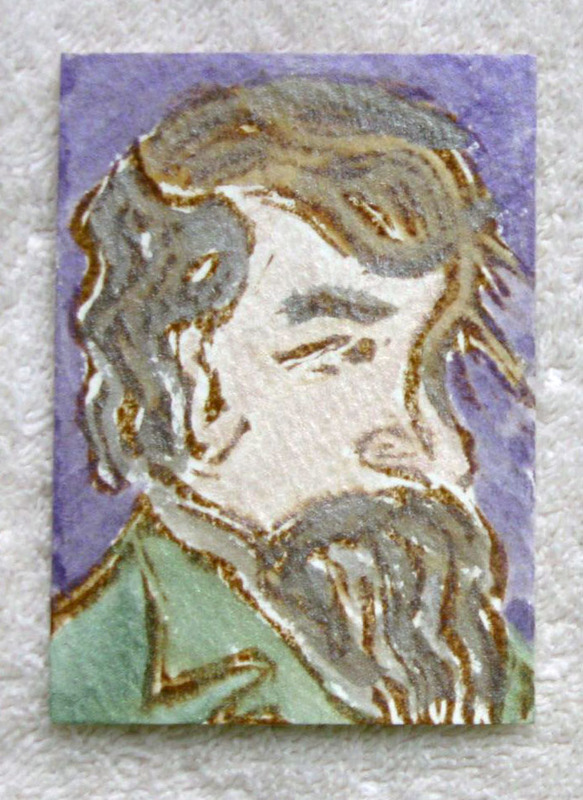 Remember that Artist Trading Cards are only 2.5" x 3.5" in size, and each is hand made. 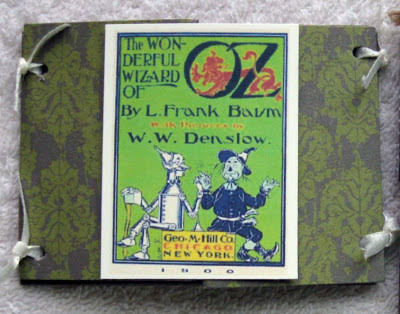 With this in mind, you can imagine the creativity, engineering, craftsmanship and time that is put into the detail of these small format pieces. 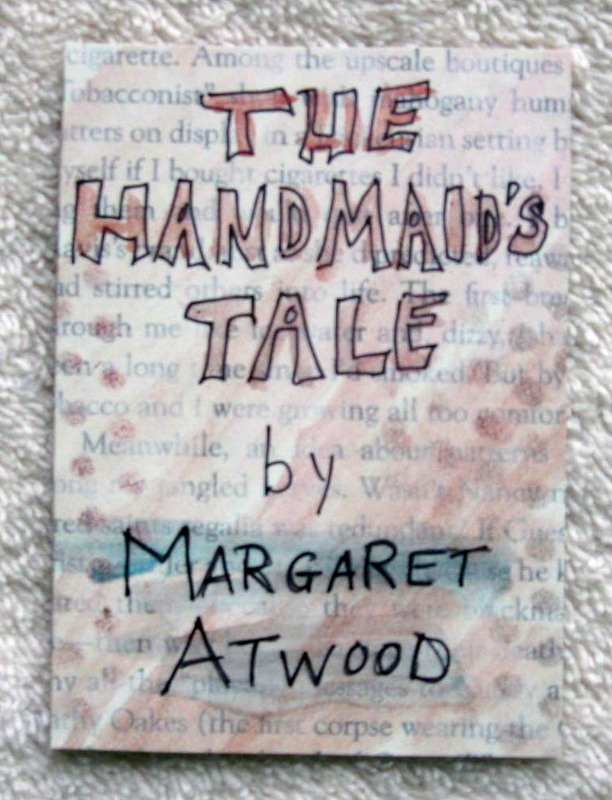 Is one of your favorite authors portrayed here? 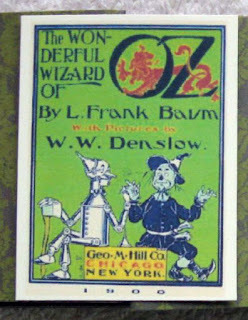 This ATC unfolded to reveal the 3-panel interior with additional photos, collectibles and ephemera. 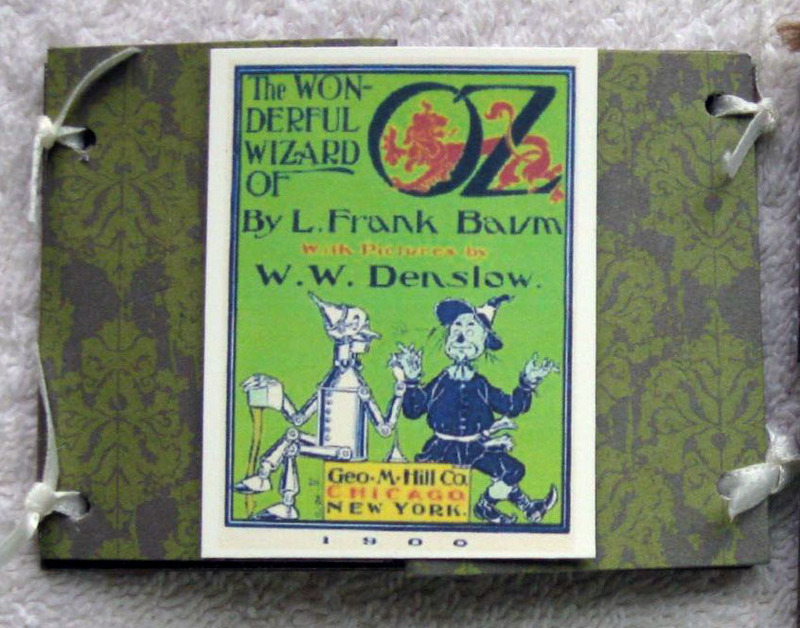 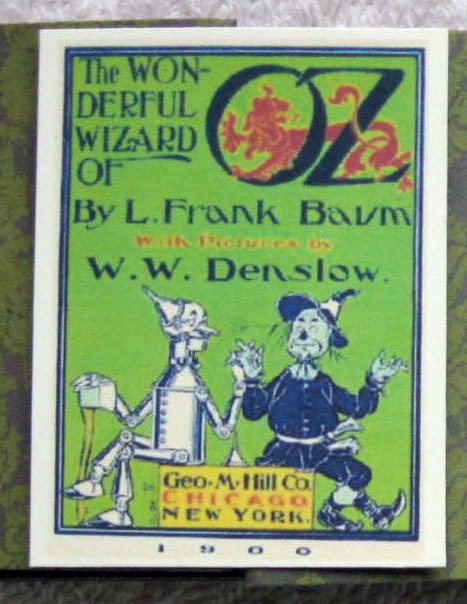 Inside of L. Frank Baum artist trading card. 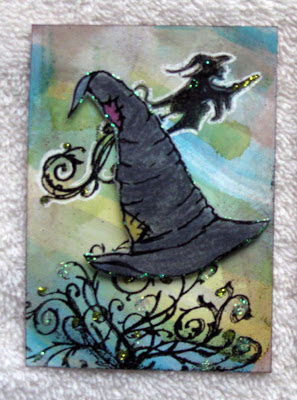 For all you Harry Potter fans, do you remember the Sorting Hat? J. K. Rowling, "The Sorting Hat" from the Harry Potter series. 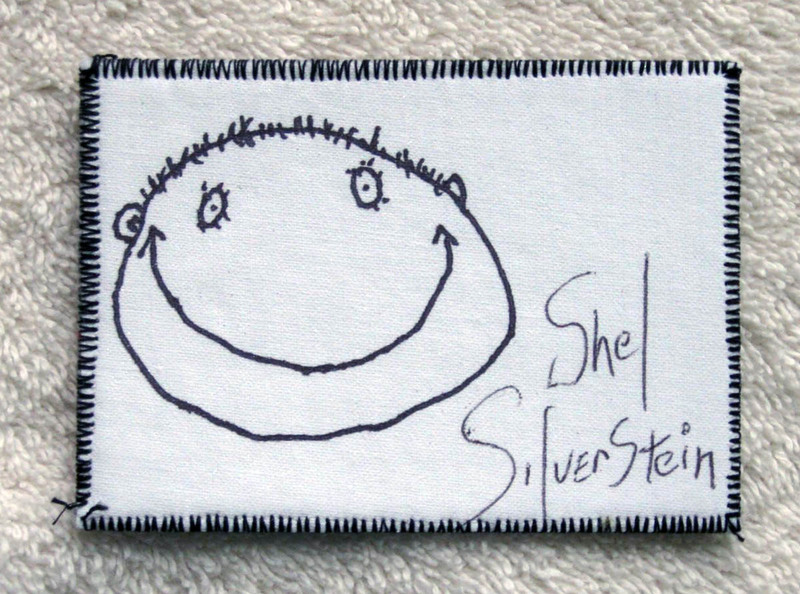 You just need to see the clean, simple drawing style of this smiling face to recognize this author. The artist made a hand-carved rubber stamp of Charles and colored the image with pearlized water colors. Kurt Vonnegut... "And so it goes." 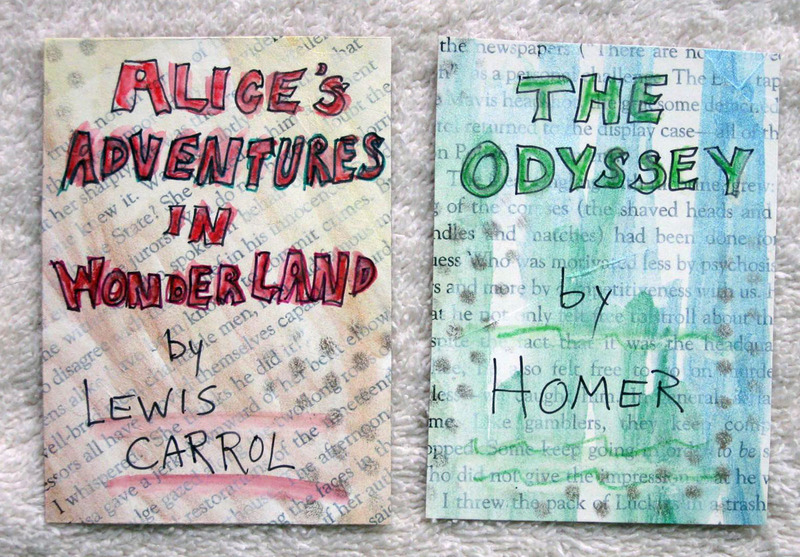 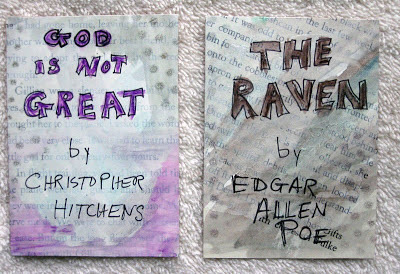 This ATC artist did a series of her favorite books and authors. "Tom Sawyer" by Mark Twain and "Dune" by George Herbert. 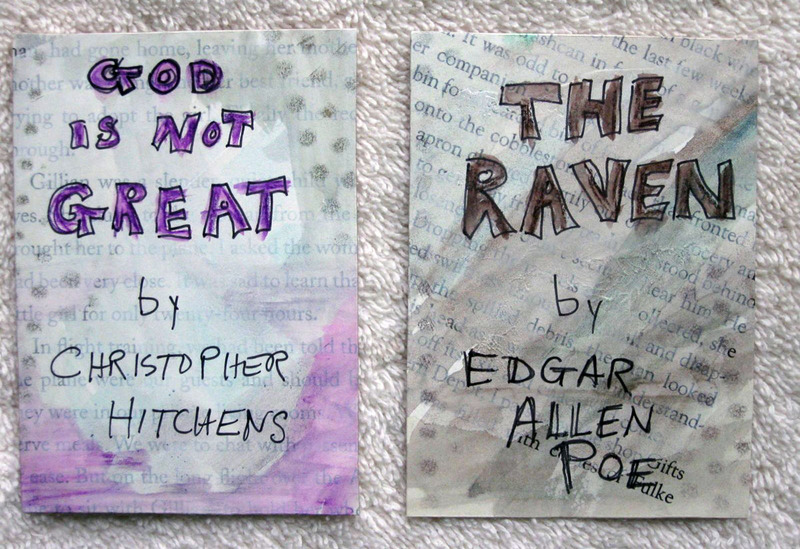 "God is not Great" by Christopher Hitchens and "The Raven" by Edgar Allen Poe.